Volcano box include unique quality of detecting phones. This is truly help full when you don’t know which CPU you have in your phone. Just choice auto detect CPU as of identify type and press and hold power button it self-control detect your phone CPU. Detect will be as of TX and R.
Volcano box also have Guide select pinout. This indicate you if you know pinouts for some phone now simply drag and drop your need pin quality on desire pin after all just press set pinout. You are complete to repair your mobile. 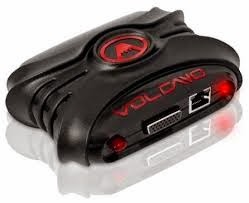 Volcano box include very unique feature called finding boot pin. some phones will not boot awaiting you identify which pin as of pinout is boot. So this quality volcano create being easy. Just choose your want CPU and click on detect button it will auto find boot pin.Volcano be able to put create about all type of USB and COM cables. full GND and VCC manage function. put pull up/down to any pinout. improved software and hardware protected design.